This dangerous carnivore weighed several tons and could be up to 17 metres long! 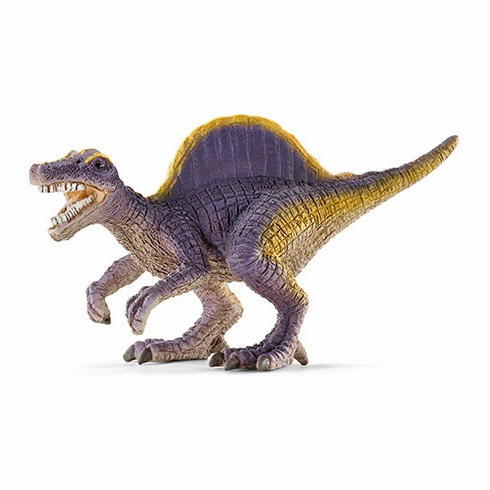 The Spinosaurus had many sharp, straight teeth in a crocodile-like mouth. His meals usually consisted of other dinosaurs or fish. The smartly designed sail on his back fulfilled several functions. It probably helped the cold-blooded dinosaurs to vital temperature regulation by collecting or distributing heat. It also served to impress potential mating partners.